There is only one word to describe MEET Las Vegas; GENIUS!! 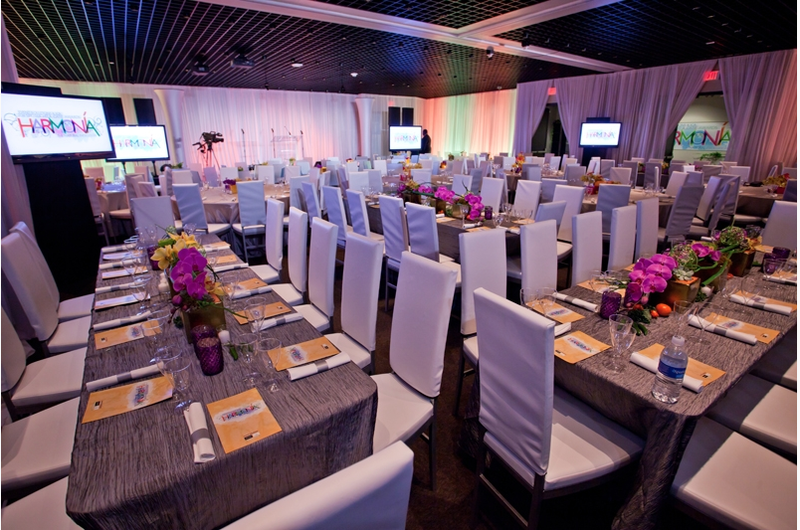 MEET Las Vegas is a meeting and event venue that is “designed to make anything possible”…. and they truly do! MEET Las Vegas was designed by Meeting and Event Professionals and it shows! 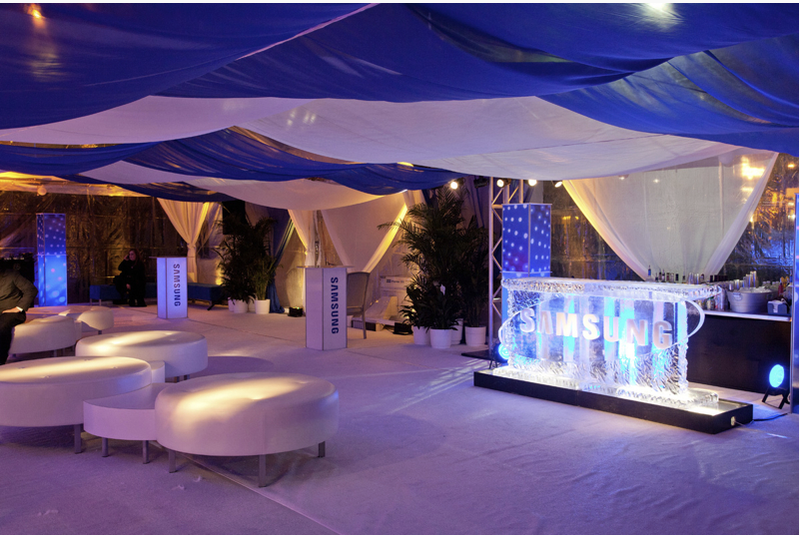 Branding possibilities are endless and every inch of the property was thought of in planning events. This past week I had the pleasure of getting the grand tour. MEET is a boutique event and exhibition venue with 3 floors of customizable meeting space that includes an outdoor pavilion, a main showroom, meeting rooms, executive training centers, and even classrooms equipped with computers. Starting from the outside of the building it has MAJOR appeal to my fellow event planners. The most unique and impressive exterior feature is the ability to change the color of the lights for an ultimate branding impact. An outdoor, tentable, pavilion totaling 2,775 square feet is perfect for an outdoor event venue. Complete, of course, with power source! There are three main entries to the building including a separate entrance for your VIP’s and a keyed access options. The exterior is also camera secured and gated with ample parking available along with valet service. The first floor is a contemporary space, with smooth white walls and finished concert floors, ideal for customization. 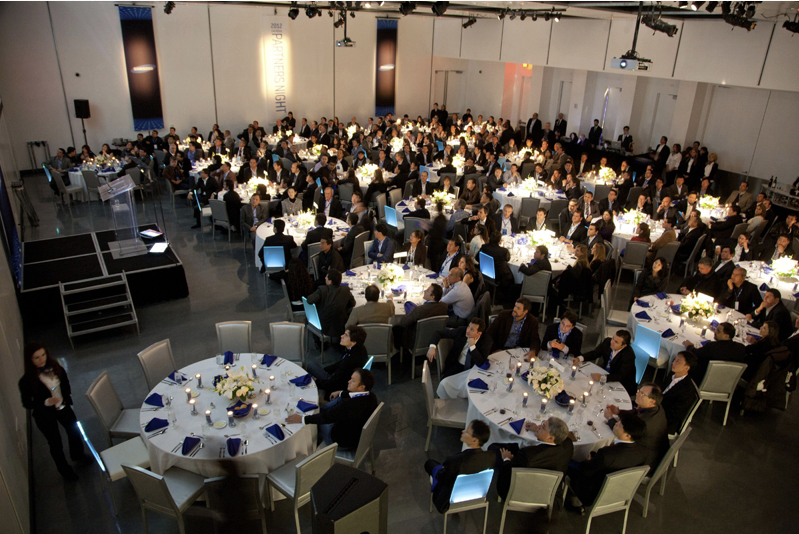 The “Premium Event Space” totals 4,165 square feet. There is programmable color changing lighting with the ability to uniformly wash a space with one or several colors. When viewing the space for myself there was a plated dinner in progress which only showcased the endless possibilities of the space. As a guest walking into the space, it was evident the company’s presence and branding throughout the event along with the elegant decor. My breath was taken away by how upscale this event was in a meeting space and the dorky meeting planner inside was even more excited to hear the details of the rigging points, that there is electric connectivity every 10 feet and a full onsite banquet kitchen. The second floor consists of a large wrap around foyer, perfect for reception or lounge space, and three ballrooms that can open up and total 2,812 square feet. 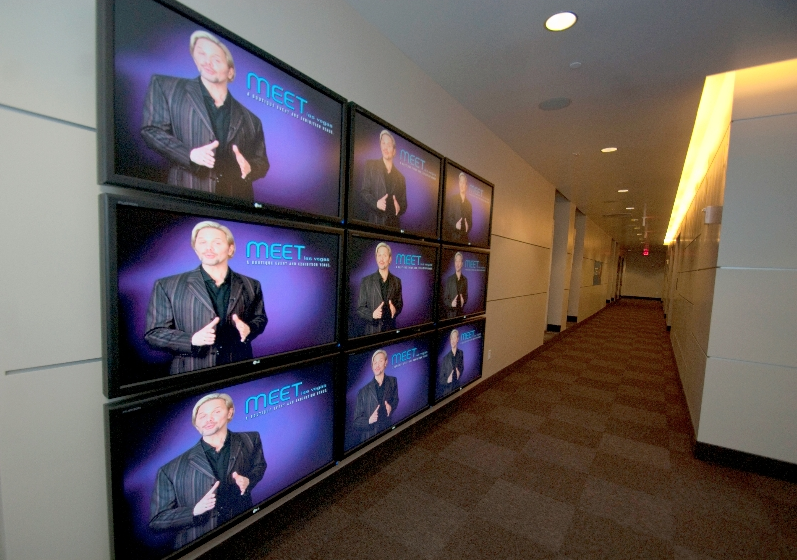 Upon reaching the second floor there is a wall of 9 customizable LCD monitors. There is customizable digital signage displays at each door, the walls were made for custom printed wall skin signage, and there are 4 alcoves specifically for experimental design, product displays or live models. Being a corporate meeting planner, the third floor is my favorite! The third floor is considered to be the Executive Training Center. The lobby of the third floor holds a concierge desk that comes with a concierge dedicated to your event. There are 2 multimedia training rooms equipped with computers and instructor stations. There are 2 board rooms with built in video conferencing, LCD screen, projector, and drop down screens. 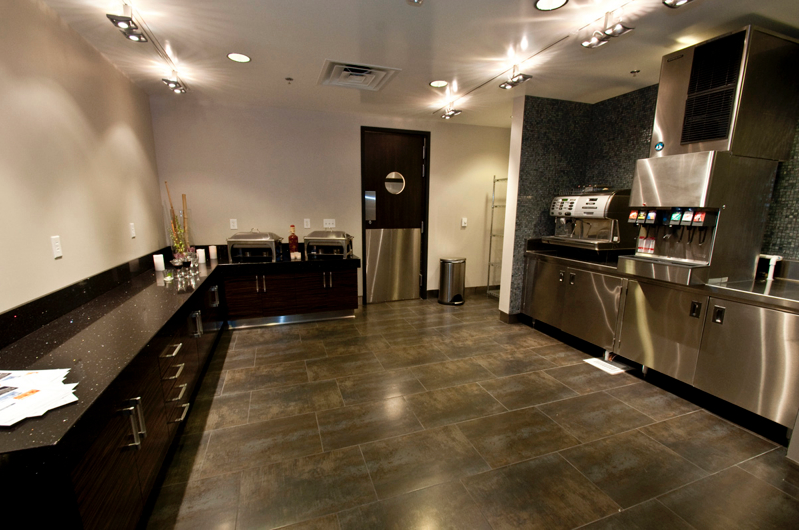 As a wonderful bonus, there is an executive amenities and refreshment center and a warming kitchen. 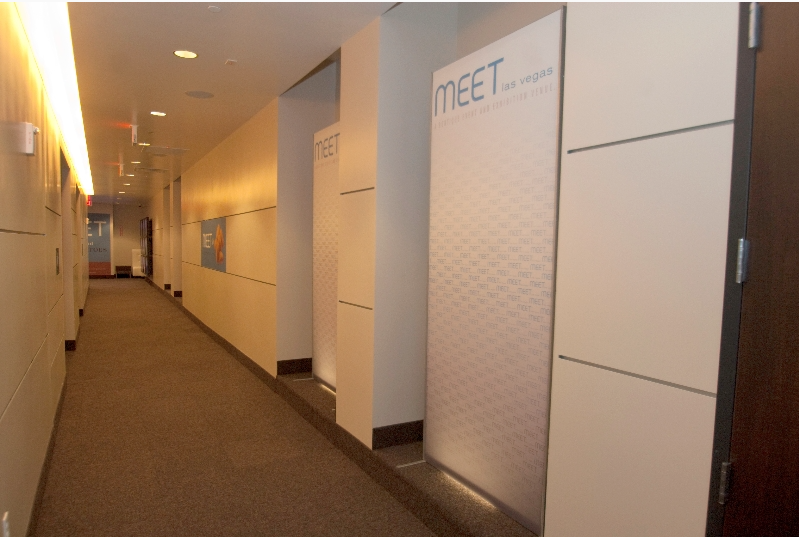 MEET Las Vegas is one of the greatest meeting spaces we have in the city. You can tell that it was designed by Meeting and Event Professionals. Everything you can think of has already been taken into consideration; load-in and out, power, rigging, catering, decor and most importantly BRANDING. To make it even more appealing, the venue is downtown and off the strip. The view is phenomenal of the infamous Fremont Street which exposes out-of-town attendees to a whole different Vegas experience than they are used to. They are exposed to the culture that so few tourists get to see.